How Unilad's founders are planning to take over America. The Chicago Cubs won game seven of the World Series Wednesday night in Cleveland. (Image via the Cubs' Facebook page). 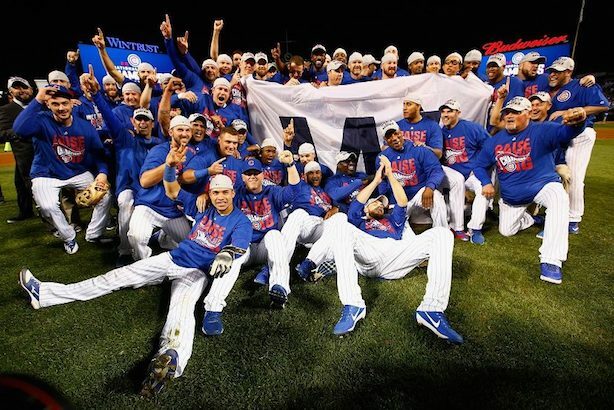 Leading Thursday morning’s news cycle: Cubs win! The Chicago Cubs held off a second comeback by the Cleveland Indians early Thursday morning to win game seven of the World Series 8-7 in 10 innings. It is the franchise’s first World Series championship in 108 years. New this morning on PRWeek: Unilad 20-something founders Sam Bentley and Liam Harrington dish on how they’re taking their U.K.-based media phenomenon stateside; Edelman CEO (and Cubs fan) Richard Edelman on the never-wider gap in trust between institutions and everyday people. IS propaganda machine reboots. Islamic State leader Abu Bakr al-Baghdadi released his first audio message in about a year as U.S.-supported Iraqi troops bear down on the IS-controlled city of Mosul. The message shows the group is down in terms of morale, but not yet out, according to Vox. Qorvis inks deal with Saudis. The Saudi government is expanding its lobbying roster in response to the recently passed law that allows the families of 9-11 victims to sue the country’s government. The country brought on lobbying shop Flywheel Government Solutions and Qorvis MSLGroup late last month, according to The Washington Post. Politico previews Clinton, Trump West Wings. Politico Magazine looked into its crystal ball to envision what Trump and Clinton administrations would look like. Its bet for communications director in a Clinton White House is Jennifer Palmieri, who holds that role in the campaign, with Brian Fallon as press secretary. It sees Kellyanne Conway as communications director in a Trump administration and Hope Hicks as her deputy. Another big quarter for Facebook, but…The social network also said it expects revenue growth to slow next year after several off-the-chart quarters, saying it has maxed out ad loads. Here are five takeaways for marketers from the Palo Alto, California-based company’s earnings report, via The Wall Street Journal. From the campaign trail: Polls tighten nationally and in key states such as Colorado and New Hampshire; Clinton tries to turn Arizona blue for the first time in decades; WSJ goes inside the FBI’s investigation of Clinton-related emails; Bloomberg: Clinton’s lead with college-educated whites could doom Trump; LAT: Businesses and investors are betting on a Clinton win, but what if she loses? ; CNN: Can Trump stay on message?